Nikolai Tokarev, superb Russian pianist! What would we do without recordings?!? 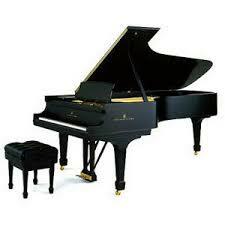 The discovery of superb new talent, for me, especially pianists, singers, and instrumentalists. I've recently discovered NIKOLAI TOKAREV. Who is he? Find out more here: http://www.bach-cantatas.com/Bio/Tokarew-Nikolai.htm where one can see photos of the artist. More recently, Tokarev's recordings are being produced by Sony Classical-Germany and there are several of them. There are also recordings of Tokarev as a younger pianist on the Solo Musica label, one given to the earliest recordings of the pianist playing Liszt and Rosenblatt's Piano Sonata No. 1. Even from the earliest recordings, we know we have a major talent before us. One of Tokarev's German Sony records is entitled "Homage to Horowitz," (by whom the pianist was greatly inspired) which includes D. Scarlatti, Cimarosa, Mozart/Liszt Figaro Fantasy, Chopin, Scriabin, and Rosenblatt's Liszt Fantasy. Very attractive presentation of works in this Horowitz tribute. Keep your eyes/ears on this one! Re: Nikolai Tokarev, superb Russian pianist! Sorry, gentlemen, but I'm not impressed. I listened as far as the Liszt, then gave up. He had odd ideas in the Rachmaninoff, and I thought his Cimarosa and Chopin quite dull. This is not a first-rank artist. I then checked amazon for his recordings, and found that amazon's reviewers agreed with me. This is one artist I will not follow for now. Hmm, I'm surprised. For a then-youngster, especially in his early Liszt, it is amazing to me the depth of performance along with an incredible technique to match. I wonder what you think of another Russian pianist: Denis Matsuev. Hi, Lance: sorry to disappoint you. Since he records with Gergiev (one of my least favorite conductors), I find it difficult to evaluate Matsuev on his own, but I give him on average a B. Perhaps you could recommend some of his solo recordings so I can form a better opinion. I have his first disc (issued in Korea) of the Prokofiev "Visions fugitives," and while not displeasing, there was no sparkle. I wonder what you think of another Russian pianist: Denis Matsuev.
" He is an Octavian, but not Caesar ."